Red is the color of desire and passion. It is surely one of the hottest color when it comes to clothing. Women loves red and so does this color. Red dress looks stunning on women with all the skin complexion. Though the shades of red can very like a bright red, cheerful summery red, a dark red, orange-gish red or a pink red. So, what is the red dress that suits you the most? 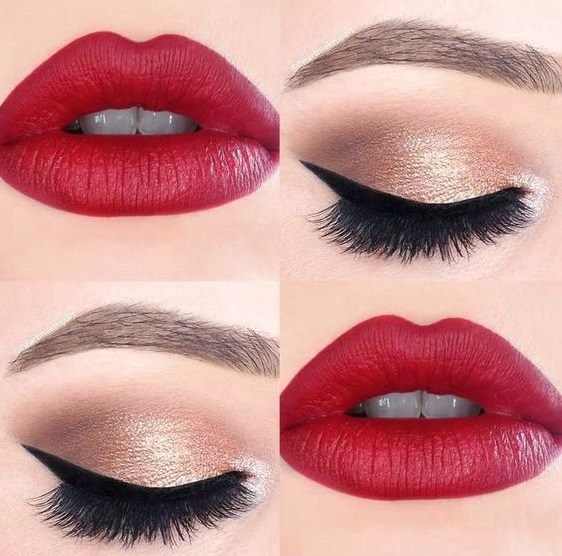 We are sure you have decided that already, but what about the makeup with red dress? Yes, makeup is important to enhance your beauty. But a cleverly and wisely chosen makeup shades and colors can take your beauty to another level. 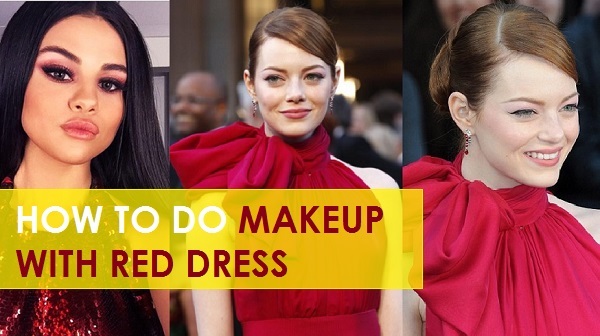 Here we will advise you on the makeup looks and makeup ideas with the red dress. 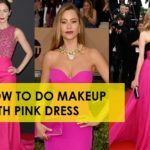 Here are some looks and makeup ideas that you can try with your red dress. A gaudy and too much colored makeup for the face looks horrible when one is wearing red and that too during summers. Try to be minimalistic with red. The color is already is very hot therefore, the more makeup you apply the terrible you look. So, for the face makeup. A clean skin with a nice base is a must have for almost every occasion and no matter what the color of dress is. Do not put too much concealer and foundation. 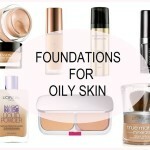 Use only on the places where you need the coverage like on the dark spots, under eye darkness etc. Color correcting makeup should be used when pigmentation is the issue. 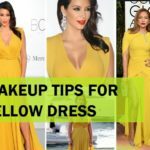 Go Neutral: When you are flaunting a red dress, then there are so many way you can do the makeup but there should be certain things to keep in mind. Like going neutral. Some women have got porcelain silky skin so they can easily go with a neutral look especially for the day time. 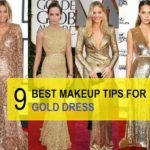 A neutral makeup look can also be donned for the evening time when the dress is overwhelming. So, how to try a neutral look. If you have seen this picture of Emma Stone, she is flaunting that with ease. Her dress is no doubt gorgeous. For the eyes, she has stick with only the winged eyeliner and some champagne color on the lids while for the lips there is a soft peachy shade. 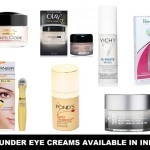 So, if you have fair skin, try a champagne on the eyes whereas for the dusky skin, you can try a pale gold shade even. One good thing about red is that even when you have worn too much makeup it does not look terrible unless you have done the makeup in a bad way. No honestly, a perfectly applied makeup, even if it is heavy looks good with red colored attire. This is true for the Indian wedding clothing as well. So, just like you can wear green eye makeup with a green dress similarly, a red lips look will not at all look bad with a red dress. For this bold look, try a soft medium brown eye shadow for the lid color and a black eyeliner with lots of mascara. This will create soft smokey eyes that looks nice with your dress. For the lips try a red that matches the skin tone. If you have got fair skin a most of the red will look good while for dusky to medium skin a warm deep red like L’Oreal Paris Moist Matte lipstick in Blaze of Red looks complementing. Do not forget to use that inner corner highlighting and brow bone highlighting for the evening makeup. Another way to put your makeup for the red dress is going a bit bolder and become sensuous with makeup. If you are a woman of color or even a fair skinned lady then this will look just perfect. Evening time is the best time when most of you will be able to pull it off. We are talking about a look where you use warm earthy colors on the eyes and lips are painted in oxblood or deep marsala shade. Ohh!! This looks so glamourous and can easily transform you into a diva for the day. Face: Try to apply your base makeup as perfect as you can. Apply face primers before the foundation to even tone the skin and hide the pores, unevenness etc.Conceal the dark circles and patches if you have with good suitable concealer. Dust off some translucent powder to set the makeup properly in place. Blush: Apply a light peachy or coral blush or even a bronzer will do, but do not apply a hot pink blush with red it looks off, an orange applied light handedly will still work but not when you have dusky skin. For the eyes: Apply the eye primer and base to even out eyelids. Then use a shimmery pale brown color on the lids. 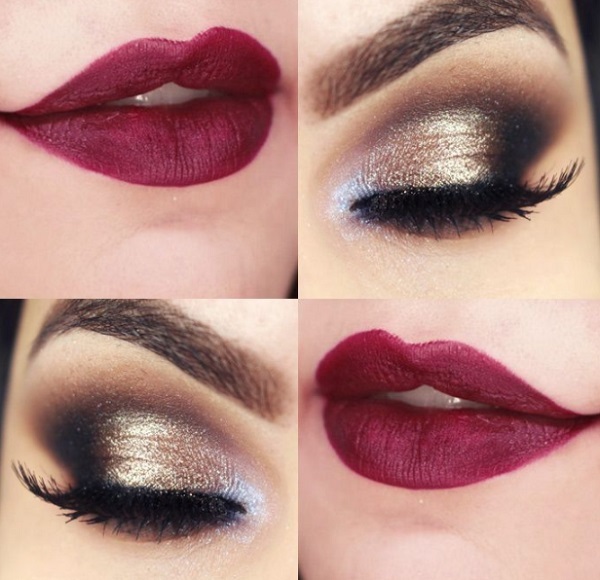 On the crease use a burgundy like color to darken the crease area. Use a dark brown on the lower lid as well. Shape the eyebrows too for a polished makeup look and finely apply mascara. Lips: Now pair this look with a deep red or oxblood or a marsala lip color. This will sure make the heads turn when you arrive at the venue. 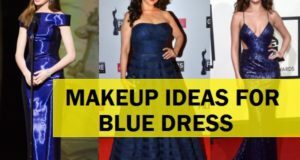 Now it’s time to share some celebrity who have rocked the red dress and have the best makeup to get inspired from. 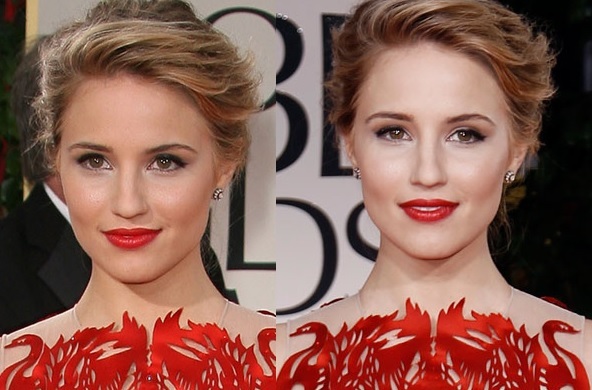 She is seen wearing light eye makeup with red lips. The red lipstick is similar with the color of the dress which looks lovely. See this is the look we were talking about were you can pair a smokey burgundy eyes with a deep bold lipstick. Rihanna with her super pretty winged eyeliner and a matte brick red lipstick is slaying this red dress. Soft smokey eye yes paired with a neutral no lip color look. This can be surely tried for the day time considering the occasion. She has a marsala colored dress which is like a cousin to the red color but here she has chosen to play down with the lips by using a subtle shade. For the eyes, there is a beautiful burgundy or wine colored eye shadow has been used for her kohl rimmed eyes. She wore this look with grace. Her shimmery earthy colored eye shadows have made the eye look scintillating and this was toned with peachy lips. In fact, this look can be paired with a bold red lipstick as well. Peachy lips and peachy blush with a minimal eye makeup focuses more on the beauty of her skin. She looks lovely in this makeup. 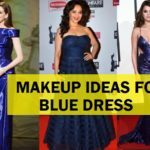 Now that you have got enough inspiration from the celebrities and our very own makeup tips to wear with red dress. 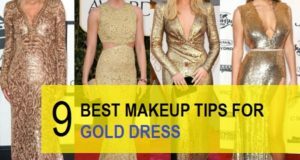 You can try any of these makeup for red dress for prom and party to look ravishing. Do share which look you like to sport with your cocktail red dress?